Ever wonder why you should live alone? Most people do at some point, and the following are 10 of the most important benefits of living alone in a place of your own. Maybe you have always lived at home, or maybe you have always had roommates. While these experiences no doubt helped shape you, living alone gives you an opportunity to chart your own course. It is an opportunity to cast off everything from bedtimes and sharing and discover what it is like to be your own boss. Never set up Netflix or fixed a broken door? Maybe you have never paid a bill or balanced a checking account. When you live alone in your own castle, you will discover that the king is the king and the queen is the queen because they are the masters of all the trades needed to manage the kingdom – even if that kingdom is just a one-room apartmentwith a fantastic view of the Arizona skyline. Living alone is an opportunity to get to know yourself a little bit better away from the curious gazes of siblings and the judgments of a roommate you may not know all that well. This is one of the most important benefits of living alone because it gives you an opportunity to discover exactly who you are deep down inside and become the person you want to be in your own time and on your own schedule. Humans are social creatures and just because you live alone it doesn’t mean you want to be alone all the time. When you are living in Arizona, you are going to want to get out and have some fun. In fact, there is every likelihood that you will spend more time socializing with your neighbors and friends. This is in part because you get to choose whom you want to get to know better and when you want to talk with them. Still wondering why you should live alone? Think about this: When you live alone there is no need to share… anything. The ice cream in the fridge? Every single spoonful is your ice cream. The remote control? Your roommate will never hog it or hide it in the couch cushions. A romantic dinner for two on a Tuesday night? You will never need to hang a tie on the front door. Rushed off to work and left the dishes in the sink? Forget to put the toilet seat down? Need to pay the rent? The only thing that will ever have to remind you of these things is your own self-conscious. When you live in an apartment in Phoenix by yourself, you are the only person who will ever nag you about the day-to-day chores of your life. Well, maybe Mom or your sister when they call or drop into town for a surprise visit to check-in on you. 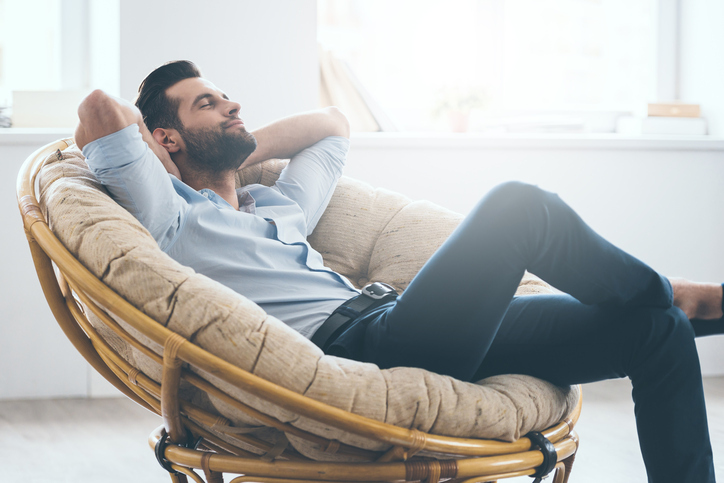 About a third of the workforce works at home and that means that there is a good chance you could use some peace and quiet to focus on your job. Whether you are a freelancer building your business or burning the midnight oil for The Man, you can work without any distractions getting in your way. If you work at home and are searching for rentals in Phoenix, be sure to find one where you can work in peace all day long. Whether you want to hang movie posters on the wall or fine art in your rental property in Las Vegas, the choice is yours as to what you hang on the walls. You can pick and choose the decor that you desire without having to run it by anyone before you make a decision. Want to sleep in on Sunday? Feel like walking around in your birthday suit on a Wednesday? Want to binge-watch your favorite program on Tuesday? When you live alone, you get to do what you want, when you want and how you want without having to think about what anyone else thinks about it. Your friends who live in rental properties in Las Vegas or rentals in Phoenix probably have roommates and don’t have the freedoms you enjoy. Don’t be surprised if they decide to follow suit and move into a place of their own once they see how free and happy you are. In fact, be ready for your friends to ask you plenty of questions about what it’s like to live alone when they get ready to make the leap. Heers Management Company can help you hang your hat up in a place of your own. We invite you to contact us for more about our rentals in Phoenix and rental properties in Las Vegas that are perfect for your life and lifestyle.